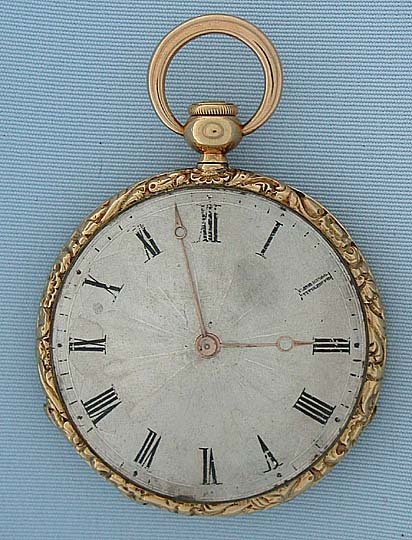 Fine and beautiful 18K gold and champlevee polychrome enamel quarter repeater ladies antique pendant watch by L'Epine circa 1830. 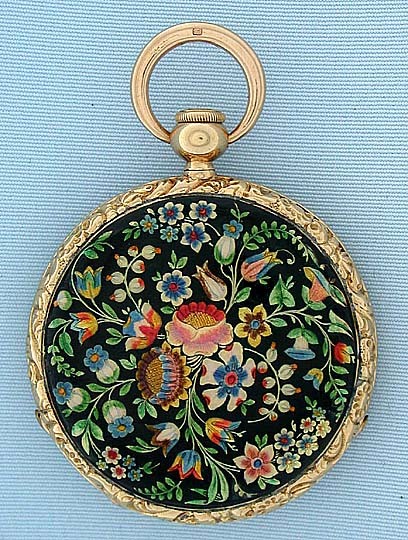 The case with cast and chased bezels, the back with a rich and dense floral design and very small edge repair. Silver engine turned dial with faided numerals and gold Breguet hands. 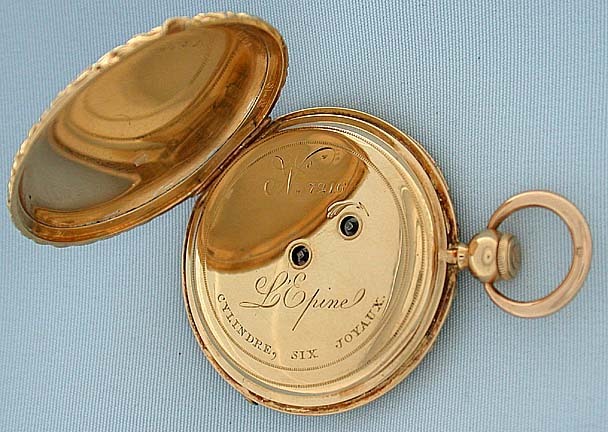 Fine gilt Lepine calibre 8 jewel cylinder movement with parachute and compensation curb. The repeat, which is activated by withdrawing, turning, and depressing a plunger in the pendant, has clear tone. 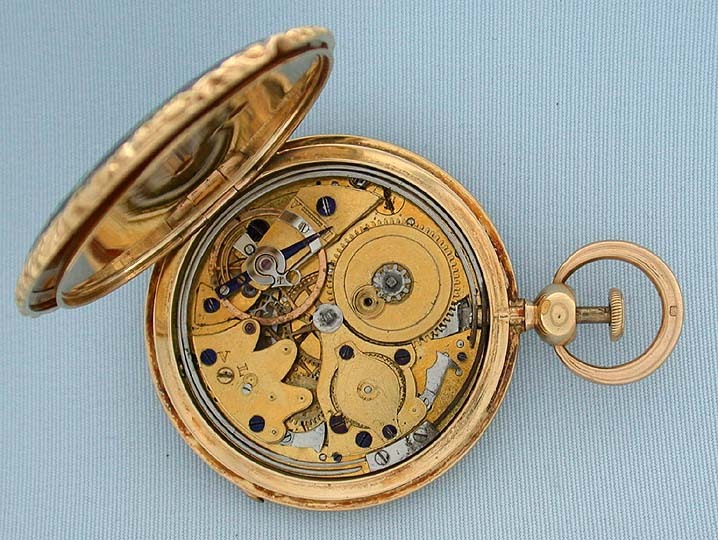 A particularly attractive repeater by a famous maker.